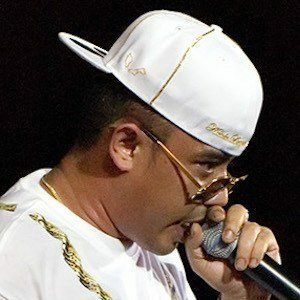 Malaysian rapper nicknamed "The President" who is best known as one half of the hip-hop duo Too Phat along with Malique Ibrahim. In addition to his successful work with Too Phat, he has released solo albums like 2008's The President and 2013's HAVOK. He first formed Too Phat as a trio in the late 1990's, when the group signed to the Positive Tone record label. He is the founder of State of Mind Caps, the company behind the famous KL Caps. His father's name is Ishak Nengah. He and Ibrahim collaborated with American rapper Warren G on the song "Just a Lil' Bit."